William S. "Junior" Johnson, Jr.
Martinez, GA – Mr. William S. “Junior” Johnson, Jr., 85, entered into rest July 27, 2018. Mr. Johnson grew up in Norwood, GA and was the son of the late William Stanford Johnson, Sr. and the late Eula Mae Berry Johnson. He lived in Richmond and Columbia County most of his life and was retired from the City of Augusta Public Works with 30 years of service. 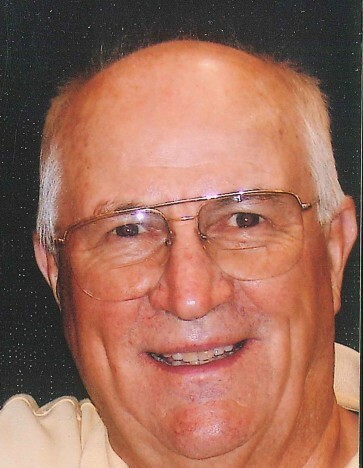 Mr. Johnson was a member of Norwood United Methodist Church and was a volunteer with the American Legion Post #63. He enjoyed woodworking, Bingo, Nascar, the Atlanta Braves and the Georgia Bulldogs. Survivors include his daughters, Vickie Hamilton of Augusta, GA, Frieda Mixon (Wade) of Martinez, GA, and Rita Hamilton (Mark) of Evans, GA; brother, James Johnson (Martha) of Thomson, GA; sisters, Doris Banks of Athens, GA, Mary Frances McCord of Norwood, GA; grandchildren, Brian Noonan, Brooke Mixon, Meagan Hawkins, and Tristan Mixon (Bethany); and great grandchildren, Hayden Kerwin and Emerson Hawkins. Funeral services will be held at 11:00 a.m., Monday, July 30, 2018 in the chapel of Beggs Funeral Home with Rev. Mickey Moss officiating. Interment will follow at Savannah Valley Memorial Gardens. The family will receive friends from 6 until 8 p.m., Sunday at the funeral home. Special gratitude would like to be given to Dr. David Squires, Dr. Mark Cain, Augusta Urology and Southeast Hospice for the excellent care given during Mr. Johnson’s illness. Memorial contributions may be made to Southeast Hospice, 1203 George Wilson Suite A, Augusta, GA 30909. Beggs Funeral Home, 799 Cobbham Rd., Thomson, Georgia is honored to serve the Johnson family.